Small details have an enormous impact on the overall impression your business creates. Picture two restaurants on opposite sides of a street, for example. One is clean and bright with fun music playing. One has chipped and smudged windows and is covered in graffiti and acts of vandalism. The choice of where to get a good meal becomes pretty clear. That’s why smart businesses tend to invest in graffiti and scratch protection film, or graffiti guard. Graffiti guard is a clear film that can be put on any flat, smooth surface. This film ensures that the covered surface won’t get scratched up, and remains easy to clean. Even tough-to-remove chemicals such as spray paint can be taken off with ease. This makes it easy to maintain high-traffic spots such as bathrooms, mirrors, tabletops, and elevators. 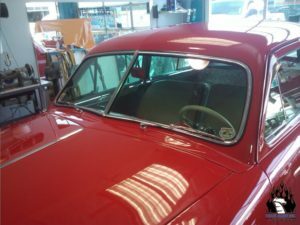 Let’s look at some benefits of using scratch protective film. This film can be easily replaced after extensive damage and use, leaving the original surface undisturbed. This is a great way to retain the value and visuals of your property. It is far less expensive to replace a polymer film than a stainless steel panel, a mirror, or a drywall surface. You want to contract with top-quality installation experts that will make sure you application is clean and free of bubbles, ragged edges, rips and scratches. Here at Team Acme, we cut the film within one inch of the side of the glass to be protected. Once we’re on the jobsite, we use our special solution of water, soap and alcohol to remove any dirt and debris that could create irritants and issues in application and installation. Excess solutions is squeegeed out after the film is resting over the glass, and any final adjustments are done at this phase. Team Acme offers you a one-year warranty to cover edge failure on your films that occur to product defects or errors in installation. While daily damage of the kind it is designed to absorb is not covered, the manufacturer’s lifetime warranty kicks in after our one-year plan expires. Note that warranties are non-transferable. 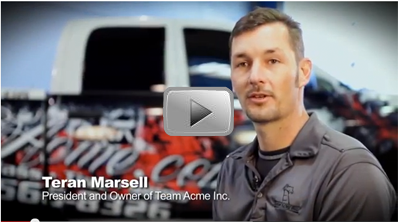 If you are interested in ending the damage to your flat surfaces, give Team Acme a call. This is an excellent way to make sure that your buildings are ready for business. This is one of the best ways to invest in your own infrastructure. Time and time again, we see that for the best way to preserve the visuals and value of your property. Get in touch with us if you need a quote on glass protection. You can also contact us online for more information, go ahead and call (702) 566-8326. We would be happy to answer all your questions about the value of this protective film.